This sturdy yet comfortable Cedar log chair pairs well with our live edge Pine and Red Cedar tables. Each chair is individually crafted from Northern White Cedar logs that are hand peeled to accentuate their natural character and beauty. 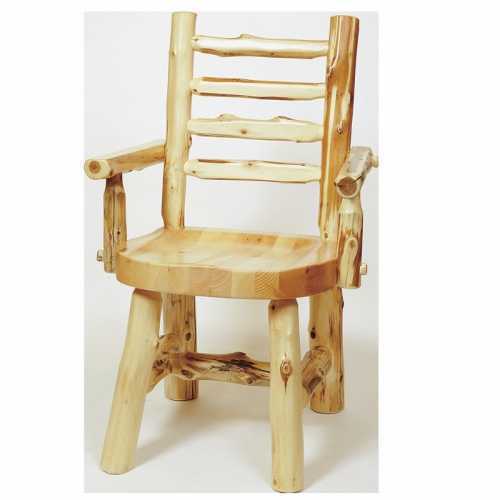 Our Cedar ladder-back chairs feature a contoured seat and back rest for superior comfort, and a catalyzed lacquer finish for extra durability.